A recent article in Money Magazine listed four simple strategies that many millionaires use to get rich. 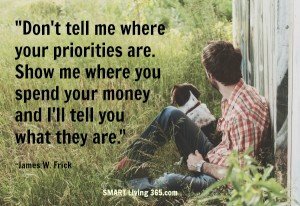 While I have nothing against being wealthy, I believe that finding meaning and purpose, achieving happiness, and discovering our unique rightsized lifestyle is far more important. But interestingly enough, the four tips offered by Money Magazine actually translate into four keys for living SMART 365. So, even though my examples won’t be the same as those shared in the magazine, the similarities are remarkably close. Ultimately, these four lifestyle hacks can help to make each of us more financially secure regardless of our age. Even better, they can lead to a more stress-free and right-sized life at the same time. One thing I especially appreciated after reading the article was the emphasis on how wealth building boils down to having the right mindset more than anything else. Sure, it would be nice to win the lottery and have a couple of million bucks in the bank. But as most of us have heard before, nearly 70 percent of people who win a lottery or get a big financial windfall usually end up broke in a few years, according to the National Endowment for Financial Education. Obviously, a big chunk of money does not make a person wealthy, let alone happy. If we want to stay rich or just money-secure, a SMART money consciousness is necessary. With that awareness, author Sarah Fallaw explains that the right mindset or money awareness leads to a “greater wealth potential for people of all ages and incomes.” In fact, according to Money Magazine, the majority of millionaires in the world today came from middle-class households, and one in five grew up poor. Few had their wealth handed to them; instead, they developed a wealth mindset somewhere along the way. Ultimately, the richness they craved, (and most of us do as well), was the financial freedom to pursue the life they wanted. Here’s how. Four key traits that build wealth potential. #1 Frugality. I don’t know about you, but I hated this word until I hit 40. When young, most of us don’t like to be told “no” for any reason, especially when it comes to money. But until we learn to control our present-moment desires in order to enjoy future benefits, we will always struggle just to live within our means. Something millionaires learn early on is that one of the easiest ways to build wealth is to compound their resources as much as possible. Until any of us can learn to delay our gratification, we will never enjoy the benefits of compounded good—be it money or anything else. Fortunately, in my life, my husband Thom and I learned to invest in real estate. When you put your money in a non-liquid investment like real estate, it forces you to hang on to it and let it “compound” naturally. Once we saw how our equity grew by just leaving it alone, the next step to saving money was easier. Now we live far more frugally than we ever did at a young age, even though our resources have grown exponentially. 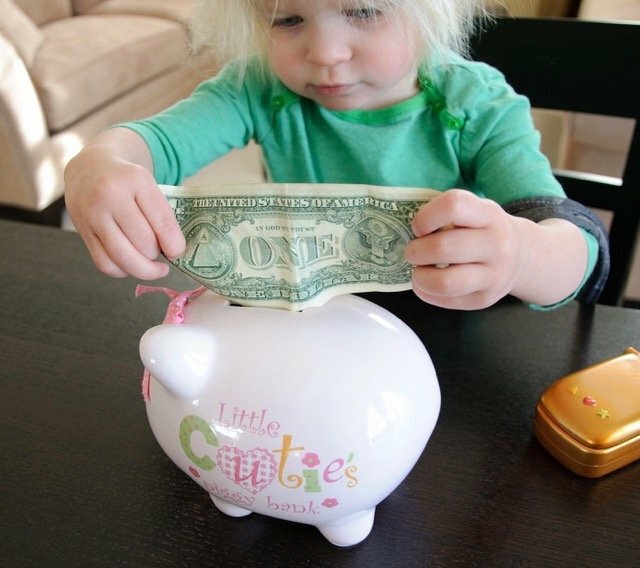 Not only is frugality a habit we embrace, half of our current income goes into investments. Remember, true frugality doesn’t mean that you never spend money. Rather it means that you only spend/invest your money with awareness, intention, and mindfulness. #2 Confidence. People with wealth potential trust themselves and come up with a plan that fits their lifestyle. While this might seem obvious, far too many people second-guess themselves or turn over their financial future to someone else to handle. That passive strategy is a huge problem for those who, like lotto winners, end up with massive amounts of cash or a large income, and not only don’t know how to hang on to it, they often find the wrong advisors. In the beginning, Thom and I didn’t have much of a plan either. We routinely spent more money than we made and loosely followed the advice of others we thought were wiser than us. Fortunately, we woke up at some point and realized that we had gained as much or more knowledge than others, what we lacked was the confidence to follow our own guidance. Of course, it did take a learning curve, but at some point, it’s time to trust your personal choices, even if that decision is about who to trust with your money. #3 Responsibility. Most millionaires take full responsibility for both their wins and their losses. Anytime a person blames anyone else for mistakes or even roadblocks, they give away their power and make it external to themselves. Instead, by approaching every circumstance or challenge as though you are entirely responsible, you maintain the “ability” to move forward no matter what. Not easy. But a far more powerful advantage. Thom and I have certainly made mistakes along the way. But we both came from families where personal responsibility was a priority. Even when it is tempting to blame others like the government, the economy, our parents, or a boss the responsibility for our choices, good and bad, lies squarely on our shoulders. Then, and only then, do we each have the ability to move forward in a positive way. #4 Social Indifference. This strategy may seem to be misplaced but in some ways, I think it is the most important. Unless and until a person can stay true to himself or herself, regardless of what others think, they put their strength and power external to themselves. In many ways, discipline is a corresponding word. Avoiding the need to seek approval of others, developing the strength to take risks in spite of trends, and ignoring the need to be loved, or even liked, is critical. Any time any of us does what we do to “buy” love or approval we put our life and our financial future in the hands of others. We were unwilling to spend money we often didn’t have to buy presents just to appear loving and generous. We felt strongly against the commercialization of holidays and the overabundance of mostly junk. We refused to compete with others to see who could buy the best or most expensive gifts. Just taking that strong stance with the people we loved and we hoped loved us back was a huge statement to ourselves about our willingness to live according to the four traits we were learning to embrace. Since making that decision so many years ago, similar choices have presented themselves where we had to be faithful to ourselves and our intentions. Looking back, I can see where each of these strategies link together. 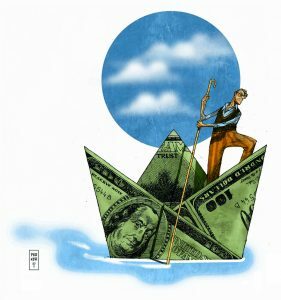 The Money Magazine article offers more ideas about how millionaires save money and orchestrate their lives. But like four corners of a building, these four ideas provide a strong foundation that each of us can use to create more wealth and financial security in our lives. And when you think about it, before anyone can offer us ways to save money or make more, we’d better have these cornerstones in place. 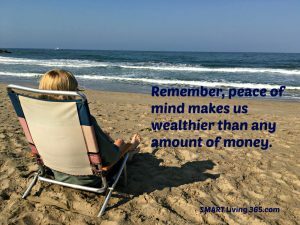 Once they are present, the SMART path to a wealth mindset is ours to keep. I was intrigued by the idea that social indifference could be a stepping stone to financial security.It’s true that many people are taken off track by the lure of keeping up with others. It’s a futile and foolish measure—it’s simply not possible to keep up with the Jones’! I haven’t learned being frugal until when I started earning for myself. And sometimes, I feel a little regret when I hadn’t been frugal during my university days. When you save money earlier, you’d be thanking yourself. I too used to hate the word frugal. When we were poor growing up it was something we had to do, not something we wanted to do. Now that I have more money, I see that frugality is a choice. My pet peave however, is when people who have money refuse to spend it or are just plain cheap. For example, under tipping a waiter in the name of living frugally, or attending a lavish wedding and buying a cheap gift. A handmade or very personal gift that doesn’t cost a lot is okay, cheap for cheap’s sake is not. Hi Michele! Thank you for your thoughts on this. I agree that when we are given a choice frugality makes so much more sense. Like you said, I can remember thinking my father was a bit stingy with his money. Then as he advanced in years and continue to live comfortably and self-sufficiently (not needing me, my sisters or the government’s help) I saw the true value in it. In many ways I see myself following his example and I’m glad for it. But there is a fine line between frugal and cheap–especially when seen from the outside. Unfortunately, none of us knows for sure what the state of a person’s finances is/are unless we are privy to close personal information. With that said, I agree that leaving a sub-standard tip and calling it frugal is questionable. In my estimation, if you can afford to eat out, then one should also be able to afford an appropriate tip for service. But with that said, gifts are a little bit trickier. Again, I’m not sure we can guess or judge what a person decides has value. And if the person holding the lavish wedding is only inviting people for equally lavish gifts, then that sounds like a business transaction IMHO 😉 , not a wedding. I think there are some in our immediate family who might call us cheapskates because of our gift giving practices. But I’m okay with how they choose to view it. We all have to decide for ourselves. I am not wealthy but I feel wealthy enjoying the lifestyle that I envisioned for myself, a lifestyle that I crafted during my working years. I have been responsible for my financial decisions for the past 25 yrs; I’ve always been frugal without being a miser; I’ve had the confidence to make financial decisions on my own, decisions that fit my lifestyle and not someone else’s. I’ve learned to pay attention to the nickels and dimes thus allowing for some big expenditures when I see fit or when necessary. There is no greater sense of satisfaction to me than when I can write a check for a big ticket item, i.e. new well, without worrying about how the power bill will be paid for. I’ve learned to like and want what I can afford. I like the term “right sizing”. John and I have always been frugal, saved for the future, were responsible to our children to educate and care for them, and only indulging ourselves with a trip or something (we went to Europe in 1983 when the kids were very young) when we could afford it. I do have a problem with the wording SOCIAL INDIFFERENCE. Once I read it carefully, I got the meaning–that you don’t do something just because society is doing it–like buy a McMansion. But the term on its face could also mean ignoring those in need. Helping who you can help along the way to saving money and providing for your own security should always be part of the plan. Even providing used clothing or furniture to a charity is a way you can give back. I like Kathy on Frugality you mention how you spend your money. I know too many people who save and save and scrimp and run out of healthy time to enjoy it. Or they have lived so frugally that when they retire it is without any hobbies or interests because they thought and think hobbies cost too much. There has to be a balance! Like you say awareness, intention and mindfulness. All good points, as usual. For some reason (probably because of my parents’ setting a good example) I have always been pretty frugal. Fortunately, my husband has the same philosophy about spending money. We’ve stopped gift-giving between ourselves, and pretty much for others also. Since there are no small children in the family anymore, there is really no need to by each other anything. We all agree that the stress gift-buying can bring, and the fact that we really don’t need more “things,” made that decision an easy one. #4 is probably the most difficult to follow. It’s hard not to be a little envious when a friend or neighbor buys something that I’d like to have, no matter how financially unsound it is (at least for me). But, fortunately, my frugal side usually wins! I agree with almost everything you say, having been thrifty most of my life. My mantra is to figure out how the rich live and then do it myself for way less! While laughing all the way to my bank. Note: a link back to the original article would have been helpful. Perhaps I missed it? Did you include it somewhere on your post? Sarah Fallaw is the daughter of Thomas Stanley who wrote the bestseller ‘The Millionaire Next Door’. Mindbreaking information in that family for sure. Wow, Kathy, this really IS exactly what you teach! Don’t you love it when that happens. I think it was # 4 that was the hardest for me to learn. 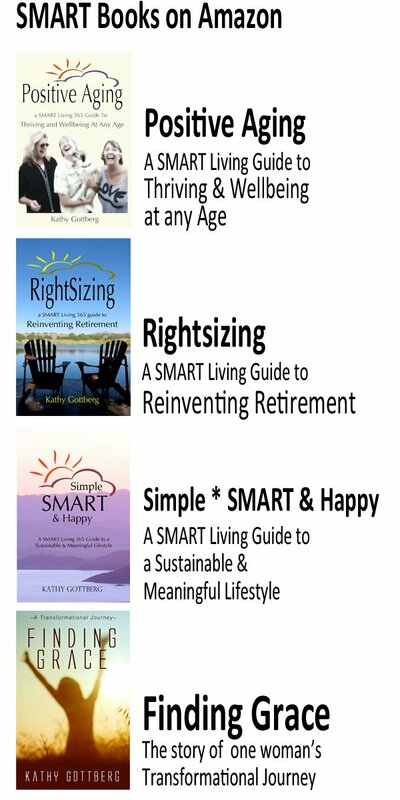 As a novelist, people have to actually read my books in order for me to be successful. But what I learned was, I’m not everybody’s cup of tea. And I don’t have to write Bestsellers. Finding that audience–however big or small–is gratification in and of itself. And really laughing on that note. I just left Amazon where two new reviews are up on I Just Came Here to Dance. One loved it, the other hated it. And unlike in my younger years, both made me smile! All of your statements are so true, and I agree wholeheartedly that the habits you mention truly are the cornerstone of a content and productive life. Thanks for reminding us! 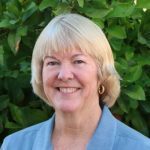 These are all really important factors Cathy – frugality and being able to say “no” to overspending is a huge factor in how we’ve managed to be financially secure on a relatively low income. We also stopped buying presents for most people years ago – we buy for our children (and grandchild) but not for others – for Christmas we make a donation to a worthwhile cause on our parents’ behalf and that’s about the extent of it. Christmas in particular has become so commercialized and it makes me sad. Agreed, Leanne! We have done the same over the years….stopped gift giving, made donations and asked that others who feel so compelled to give to us, make a donation to a worthwhile cause instead (even offering to provide the names of ones we like). I believe that birthdays & holidays should be a time to spend with family & friends, talking, learning about one another, catching up, truly getting to know people, listening to the stories told by the elder generation. All of the hype around gifts~~all of the materialism~~strays so far from what it is we should be engaged in. Like you & Thom, we stopped the gift giving for the same reasons. We will give something, now & again, when we WANT to…and it doesn’t have to be for a “holiday”. We give when we feel it in our hearts to do so. To us, that is living authentically. We are also very frugal and it has afforded us the opportunities to move (from Indiana to Colorado, then Colorado to Florida) without the benefit of jobs in advance. That is freedom! We aren’t rich and a little more income would be ideal (I am always working toward that), but we like to live below our means. Our quality of life, the time we have together and for family, is of great importance. Something money cannot buy…time! We enjoy shopping at Goodwill and other thrift stores! We get excited over clearance buys in big stores! It’s almost a game!!! The hunt! The score! Cheers to all of us Rightsizers! I definitely feel that we are in the minority. 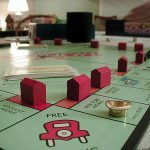 When attending family parties (birthdays and Christmas), we see how others spend like Rockefellers, often times putting themselves into debt. The hamster wheel of having to work to pay off all of the exorbitant spending sprees is what we have avoided and what we find incredibly sad to see, especially when it is our own family members. We can live our lives and share our ways and hope that, one day, our example will be a guiding light to others who will join us. And be so much happier for it.